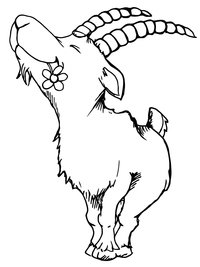 Silly Billy Goat Farm, LLC: Is That A Pygmy Goat? Home Nigerian Dwarf Goats Silly Billy Goat Farm, LLC: Is That A Pygmy Goat? Although both Nigerian Dwarfs and African Pygmies are both of West African origin, they are two separate and distinct breeds. It can be easy to confuse the Nigerian with the Pygmy because of the similarities of size and origin, but the similarities stop there. African Pygmies are bred to be «cobby» and heavy boned. They are almost as wide as they are tall. 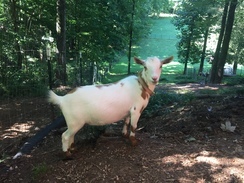 Nigerian Dwarfs are bred to have the length of body and structure in proportion to their larger dairy goat counterparts. This makes breeding and birthing easy. Nigerians Dwarfs are also still somewhat rare in the US, compared with the numbers of Pygmies residing here.